I love watching actors get ready for their roles. I find fascinating the process of putting make-up and costumes and to see the person change form in front of me. Over the years, I have had some great opportunities to watch the actors get ready for their roles. This post presents some of my favourite images of the theatre actors from India, Italy and some other countries. Let me start with some images from India. All these images are related to Ramlila, the enactment of Hindu epic Ramayan. During the days leading to the festival of Dusshera, hundreds of Ramlila plays are organised across big and small towns in northern and central parts of India. 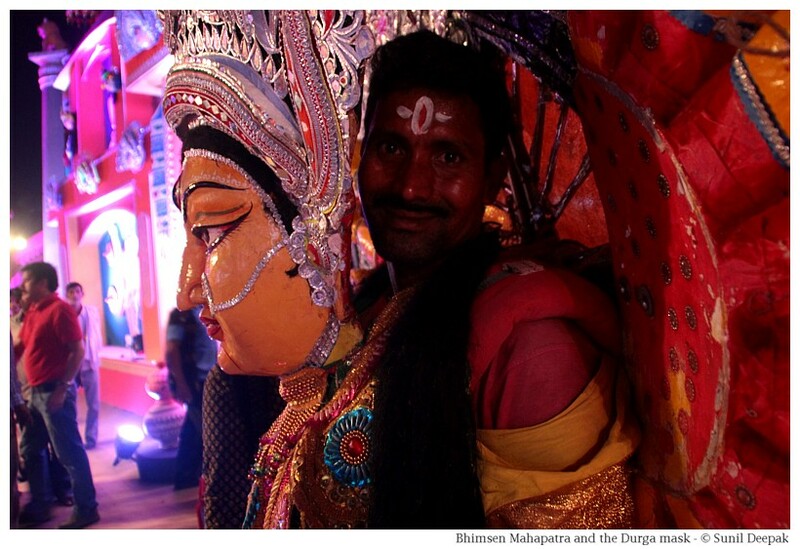 The first image above is from the Bhaona enactment of Ramayan at the Majuli island in Assam (India). The actors were getting ready for the "Sita Swayamvar" scene, where princess Sita has to choose her bridegroom and different kings have come from all over India, hoping to marry her. The image shows the actor playing Lord Ram help one of the actors playing the role of a rival king, get ready. I have some wonderful memories of watching Ramlila as a child at the DCM grounds near Rohtak Road in Delhi. I was especially fascinated by the figure of Ravan, the Rakshas king with ten heads, who kidnaps Sita. His booming laugh made me feel afraid, but I also felt a bit of pity for him. 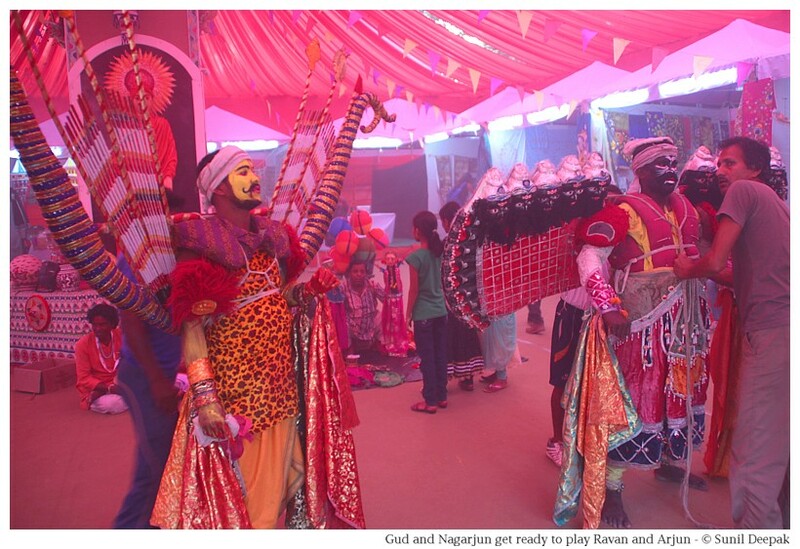 The image below is from Ser Jatra from Puri in Odisha during which actors wear masks and go in a procession. The image shows the actor playing Ravan getting ready with a ten-headed black mask, along with an actor playing Arjun (from the epic Mahabharat). In Delhi, one of the oldest Ramlila traditions is from Chandni Chowk in the old city, started during the reign of Mughal king Bahadur Shah Zafar. 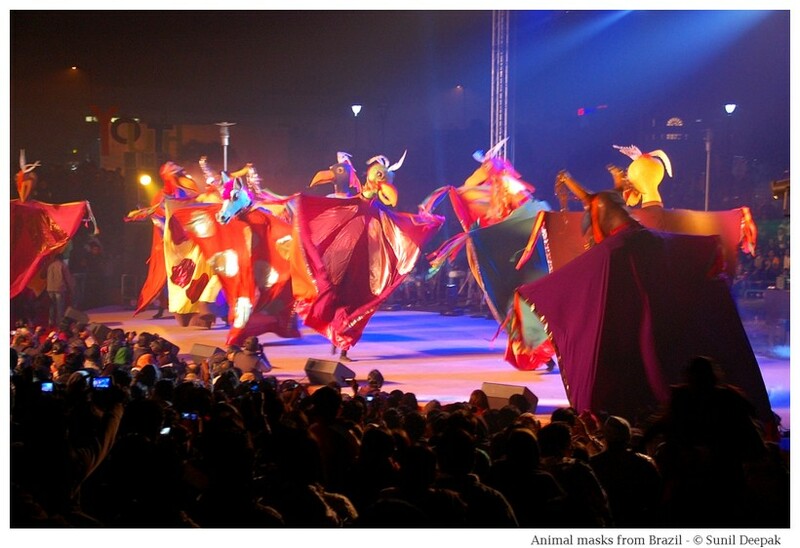 This Ramlila play takes place in the open grounds at Ajmeri Gate, known as Ramlila grounds. 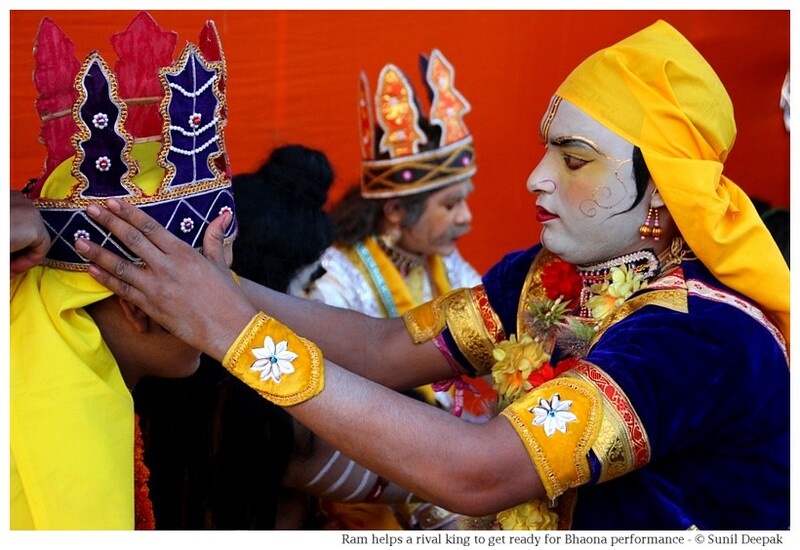 The actors of this Ramlila get ready at a Dharamshala near Esplanade Road in Chandni Chowk. The image below shows the actor playing Lord Ram's younger brother Lakshman, get ready. 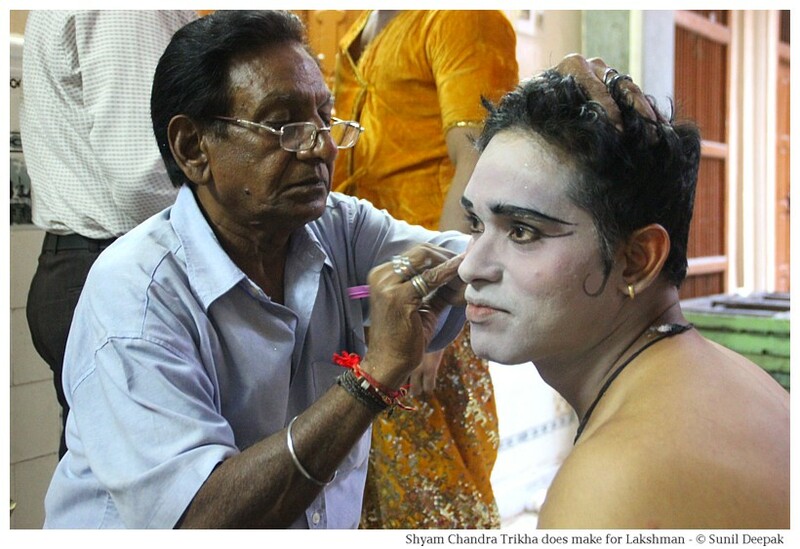 The make up man is Mr Shyam Chandra Trikha who has been doing make up for this Ramlila for the last 25 years. Often people playing actors say that for them playing a role in Ramlila is a kind of sacred benediction. 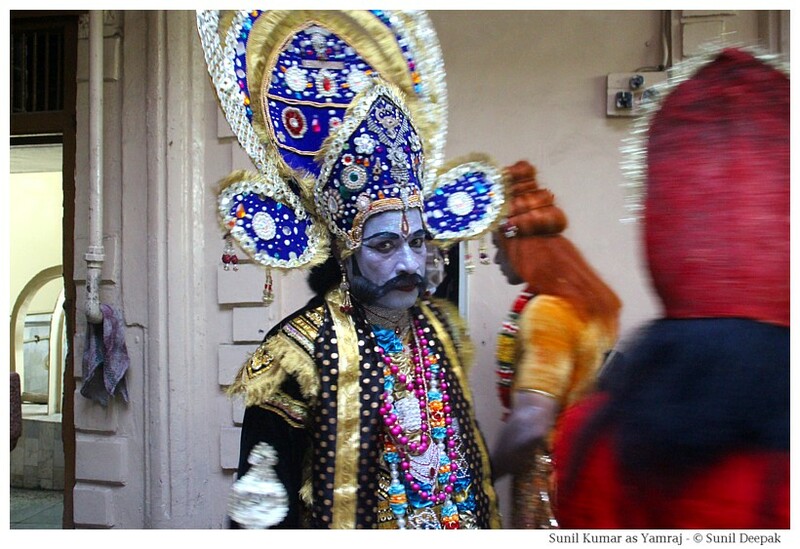 The last image of the Ramlila actors is from Kochi in Kerala, at the southern tip of India. The Kathakkali actor is getting ready for a temple dance-drama performance. Kathakkali has specific rules about the colours to be used for the make-up of different characters. The next three images are of characters from other sacred stories of India. The first is of the Goddess Durga and is from the Ser Jatra in Puri in Odisha. The person getting ready to wear the Durga mask is a man, Mr. Bhimsen Mahapatra. From Sikkim in the north to Kerala in the south, India has a wonderful tradition of using masks in the traditional theatre and dances. The use of masks provides ready-made faces for theatre, thus avoiding the need of spending hours on make-up. 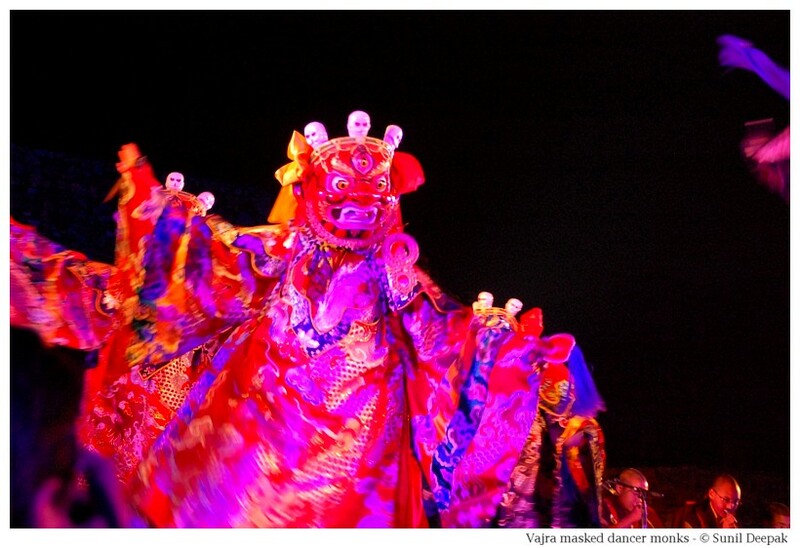 The next image has the masked Buddhist monks from Sikkim in the traditional Vajra (Lightening) dance. The last image is that of Mr. Sunil Kumar getting ready to play Yamraj, the god of death, for the Ramlila procession in Chandni Chowk (Delhi), where he is going to sit with a noose around the head of an actor playing Markandeya. The story of Yamraj and the boy Markandeya, where the boy is saved from death by Lord Shiva, appears in two sacred texts - Bhagwat Puran and Mahabharat. I ask him, why there are Yamraj and Markandeya in a Ramlila procession, since they are not a part of the Ramayan story? With his flashing eyes and a shining scimitar, Sunil Kumar does look a little scary, till he smiles at me benevolently, shaking his head. He would make for a wonderful image in the procession and their audience knows their story, so it is does not matter if he is a visiting celebrity from another sacred story. The next few images are from Bologna (Italy) where I had my first experiences of watching actors prepare for their roles. 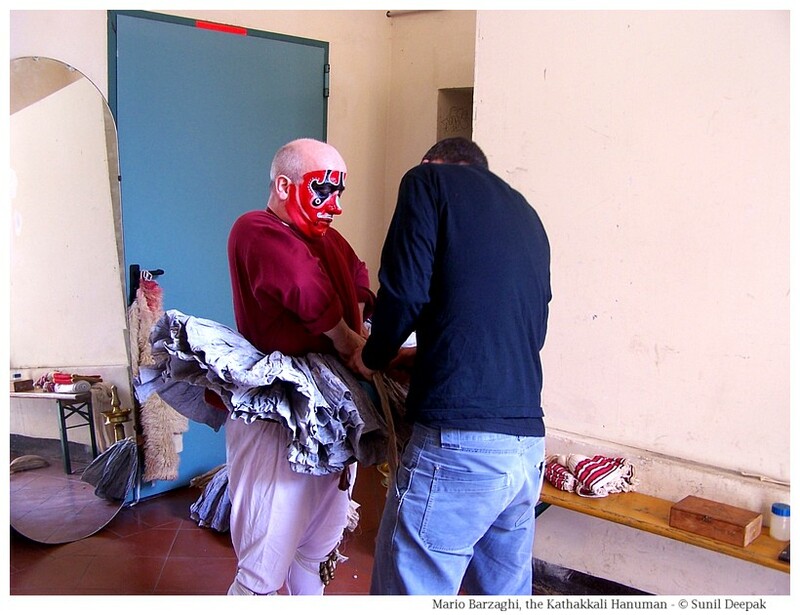 The next image is of Mario Barzaghi, an Italian theatre actor and dancer who is also a trained Kathakkali dancer, getting ready for his role as Hanuman from the Indian epic Ramayan. 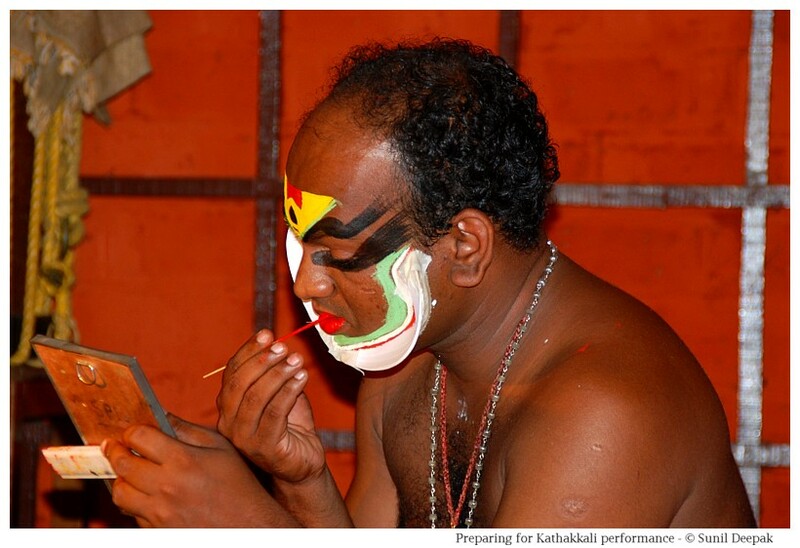 This image can give you an idea of hours of preparation needed for the make-up and putting on of the Kathakkali costumes. The day I had clicked this picture, he was going to enact the episode when Hanuman flies to Lanka in search of Sita. It is said that early Romans and Greek actors did not use any make-up or costumes. The use of the masks in the plays came much later. The traveling actor-comedians of the Italian Commedia dell’Arte in the 16th century had developed a set of stock characters, such as Arlecchino, who used masks. 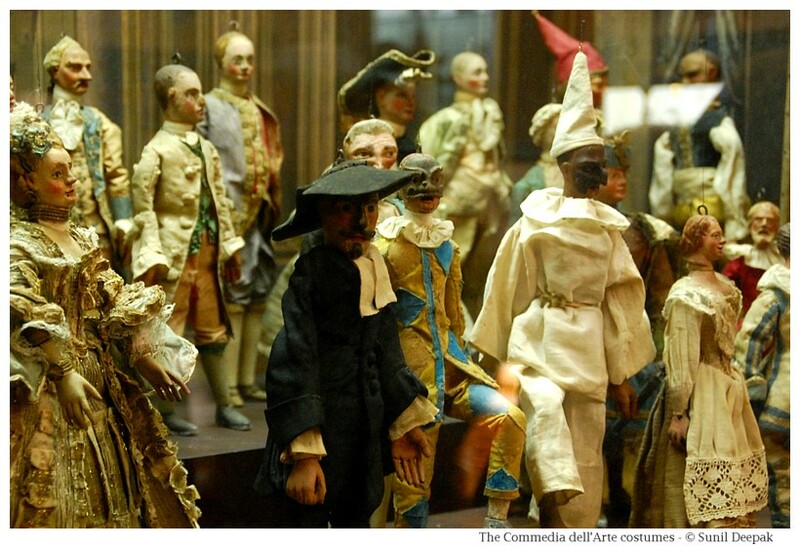 The image below shows some medieval puppets from the Bargellini museum of Bologna, wearing iconic costumes and masks of the Commedia dell'Arte era. Introduction of electricity in the 19th century provided better lighting for theatre. Thus actors had to change their make-up techniques to adapt to the lights on the stage. In 1890 Carl Baudin used a mixture of flesh-coloured paste of zinc white, yellow ochre, vermilion, and lard, which was given the name of grease-paint. Even today often we use the term grease-paint to talk about the make-up of actors but with time, now we have much better water-soluble make-up. 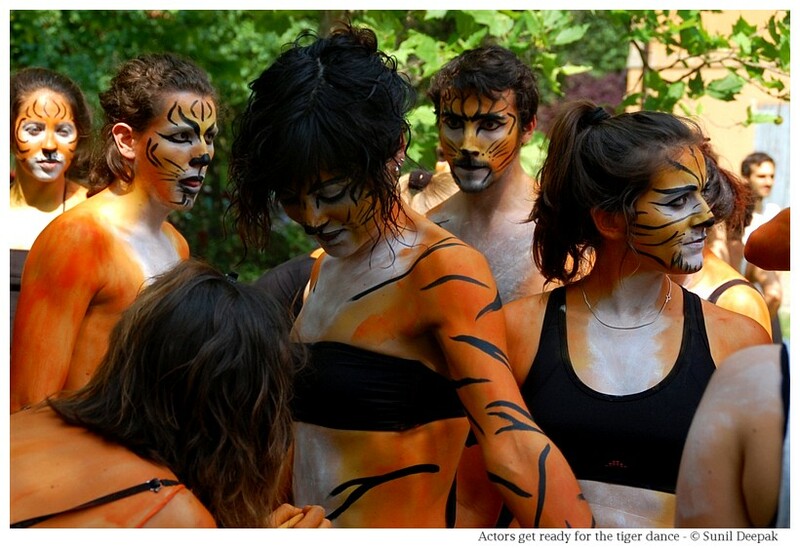 Rather than flashy and gaudy colours, modern theatre prefers the natural look with its own techniques of make-up. 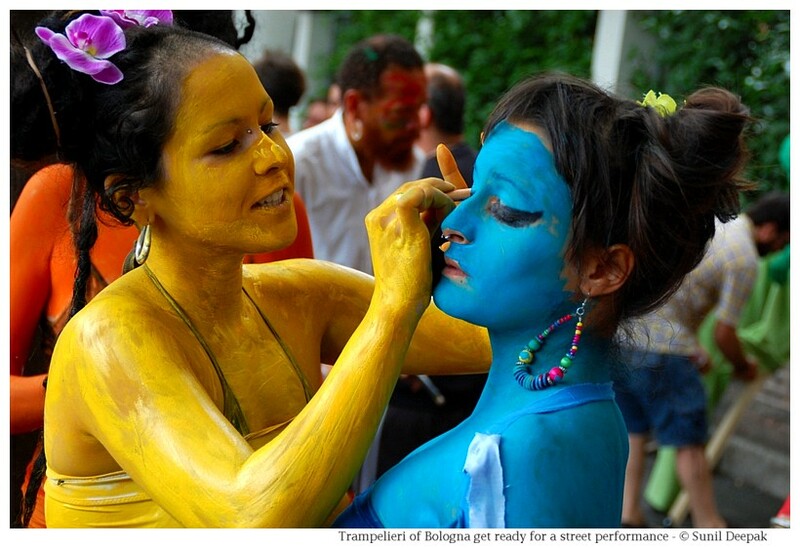 The next three images are all from cultural events in Bologna showing actors putting on the make-up with water soluble colours to paint rainbows on their bodies. 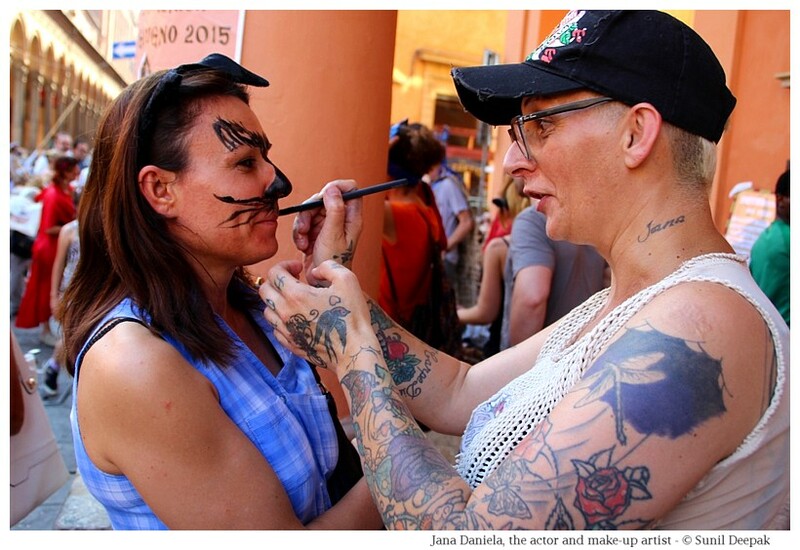 The last image above has my friend Jana Daniela as the make-up artist. Jana herself is a cinema actor and has used amazing make-up for her role as a zombie in a recent film. The next image shows animal-masks used by a Brazilian dance group from south America. 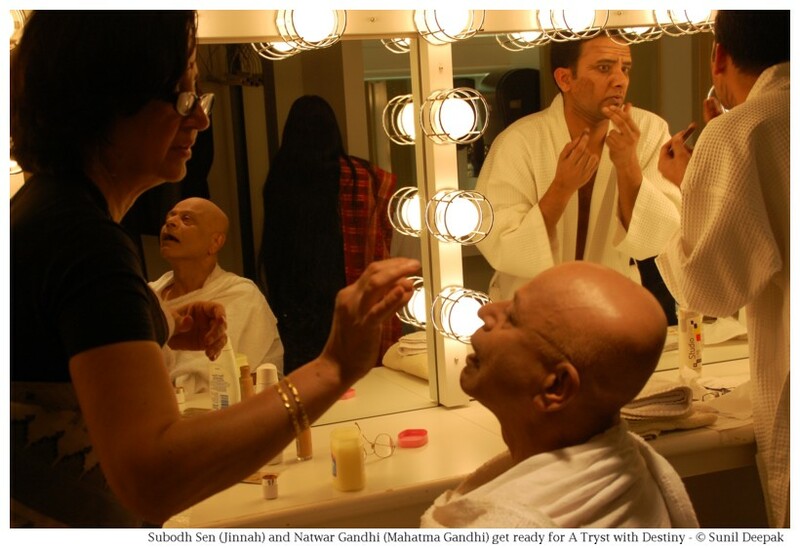 The second image from Americas is from Washington D.C. (USA) where the two actors of Indian origin, Subodh Sen and Natwar Gandhi, are getting ready respectively for the roles of Jinnah and Mahatma Gandhi for the play "A Tryst with Destiny", about the independence of India. Selecting images for this post was immensely pleasurable. I loved going through my image archives to search for them, and in the process, rememberd many of those performances and the persons behind the make-up. 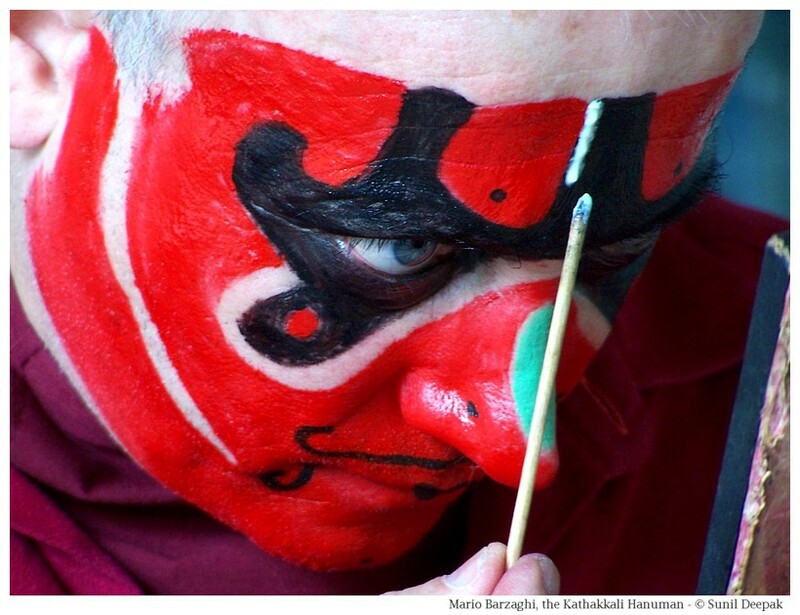 The concluding image of this photo-essay is of Mario Barzaghi getting ready to play Hanuman for the Kathakkali performance. Very Interesting post with awesome photographs ! !